Did you know that the average person spends about 25 years of their life asleep? Sleep is vital to your waking life and greatly affects your productivity, mood and health, so it is essential to ensure that you are getting the best sleep possible. According to the National Sleep Foundation, insomnia is the most common sleep disorder, affecting over 40 million Americans per year. This means they have trouble falling asleep, staying asleep and returning to sleep after waking up. Chronic insomnia is a more serious condition and only affects about 6% of the population. For those without chronic insomnia, environmental factors can play a big role in a persons ability to fall asleep and stay asleep. Some studies have shown that having a good mattress can greatly impact a persons ability to stay asleep by making them more comfortable. Healthyrestmattress.com offers a wide variety of comfortable mattresses with varying degrees of firmness and softness so that you can find the perfect fit for you. Healthy Rest is committed to making eco-friendly, toxin-free mattresses from sustainable resources. Bamboo, aloe, castor and palm oils comprise a majority of the materials for these memory foam mattresses. The core of each mattress is made from bamboo charcoal. 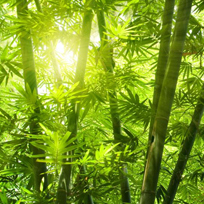 Bamboo is a highly renewable material and is also a natural odor eliminator. It offers up to 80% more heat dissipation than standard memory foam mattresses while increasing air circulation and breath-ability for a more comfortable night's sleep. Bamboo fibers woven into the ultra comfortable top layer of fabric help wick away moisture and add coolness and comfort no matter the season. Castor and palm oils replace petroleum based products that are traditionally used in memory foam, and Aloe Vera, a plant, helps make the material more dust mite resistant without harmful chemicals and pesticides. 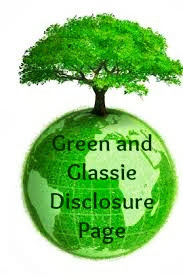 The mattresses are emissions tested, free from heavy metals and made of low VOC materials. There are a variety of factors to consider when choosing a mattress, and it is important to do your research. Affordability is often the deciding factor for many consumers, and Healthy Rest offers healthy, quality mattresses in a variety of price points. You spend one-third of your life asleep and you owe it to yourself to have the healthiest rest possible. Tips on purchasing a new mattress for your home and choosing one that is right for you. This article includes advice on the factors you should consider when purchasing a mattress including the cost, size and firmness.